He is always outspoken, often outrageously so. He can be a verbal bull in a cultural china shop. He’ll bluntly mix politics with business. A certain US president? 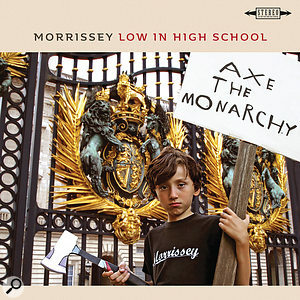 No, it’s Morrissey, who was very much in character when, a month or so ahead of the mid-November drop of his latest LP, he told a live BBC audience that the UKIP leadership election was rigged and declared his support for an independent Catalonia. Team photo: producer Joe Chiccarelli (right) and engineer Maxime Le Guil were reunited for Low In High School, having worked together on Morrissey’s previous album in 2012.Photo: Joe Chiccarelli Chiccarelli, an eight-time Grammy Award winner, will need no introduction to most SOS readers, having worked with everyone from U2 to Beck, the White Stripes and the Strokes to Jason Mraz and Rufus Wainright. 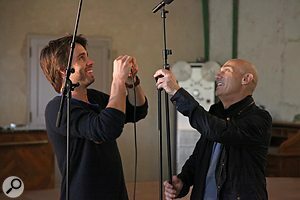 Le Guil, meanwhile, has brought an earthy Gallic sensibility to records for Radiohead, Hans Zimmer, Justice and Christine & the Queens, though he may be as well known for Mix With The Masters, the engineering seminars that take place at La Fabrique Studios near Marseilles, which is run by his father, engineer Hervé Le Guil. All of the tracking and most of the overdubs took place at the Forum Music Village, the studios in Rome owned by legendary Italian film and classical composer Ennio Morricone. “We wanted to do the entire album at La Fabrique, which is where we did World Peace,” says Chiccarelli. 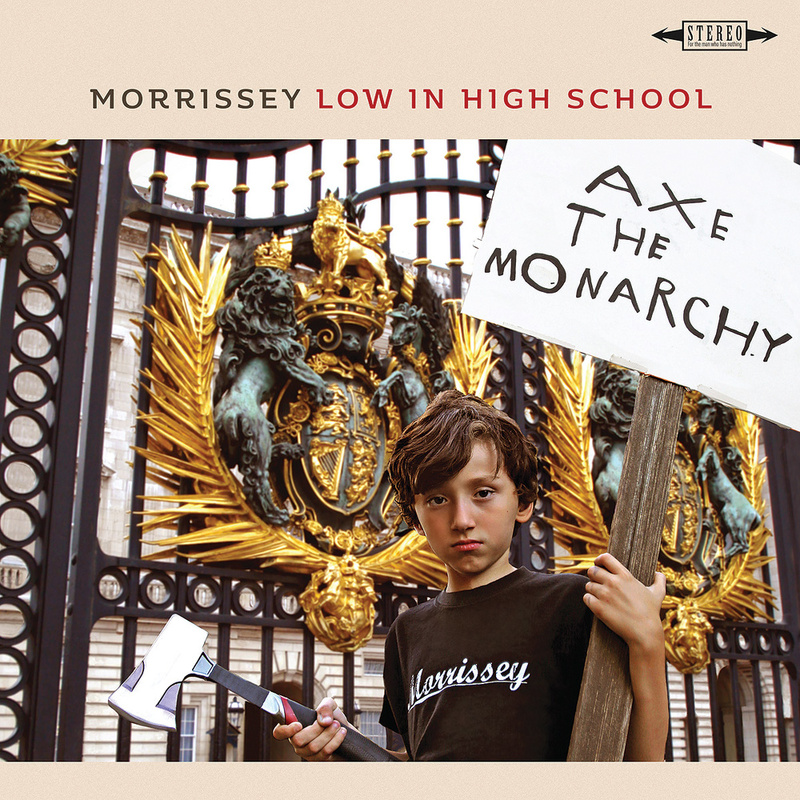 “[Morrissey] wants a location that he can be inspired by. 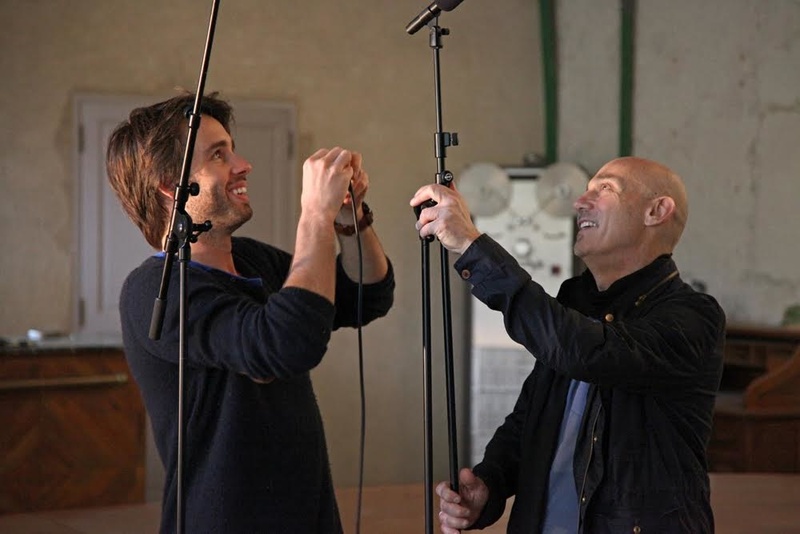 He only makes a record every four years or so, and he wants the experience to be magical and inspirational, and La Fabrique is certainly an idyllic location.” Unfortunately, however, the French studio was booked for their desired time frame, so instead, the crew spent about seven weeks working at the Forum before heading to La Fabrique for a few overdubs, extensive stem edits, and the final mixes. The tracking was done through the Forum’s 1990s-era Neve VR60 Legend console into Pro Tools at 32-bit/96kHz. 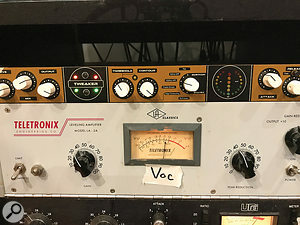 Chiccarelli is not a fan of the desk, preferring the “aggressive” timbre of an API to what he calls the “soft, distant sound” of the VR, but the combination of vintage and other outboard, such as the Overstayer Saturator he likes to apply to drums, and diverse microphones they brought with them, plus the familiarity of the sprawling tracking room, more than compensated. In the control room, Chiccarelli and Le Guil relied on a pair of ATC SCM45A nearfield speakers as monitors. Chiccarelli likes to have a large and wide array of microphones set up in the studio, ready for mix-and-match action, but once he makes key sonic decisions, he’ll stick with the mic combinations that got him there. “He wants options in the beginning, but he’ll commit quickly once he hears what he wants,” says Le Guil. The drum miking was thus conventional, but comprehensive. The kick had a vintage AKG D12 and a Neumann U47 FET, plus an NS10 woofer used as a ‘subkick’ mic. The snare was miked on top with a Shure 57 and an AKG C451, with another 57 underneath. Rack toms were captured with Sennheiser MD421s, the cymbals were picked up by a spaced pair of AKG C414s, with a Neumann KM84 on the hi-hat. 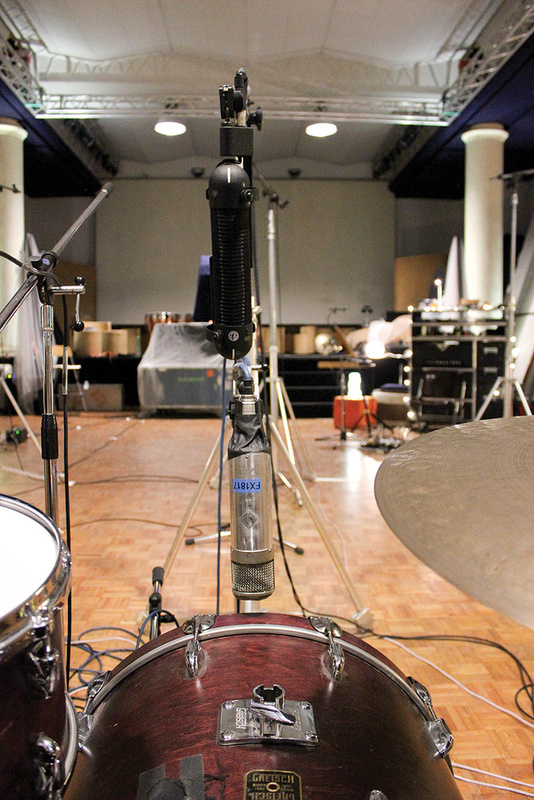 The drum kit’s close-in ambience mic was a tube U47, with Royer SF24 and AEA R88 stereo ribbon mics alternating in front of and slightly above the kit as well. 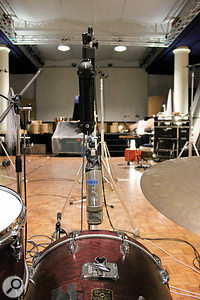 “This mic would sometimes end up as a mono overhead for a more simple drum sound,” says Le Guil, “but for most of the rock tracks it would be placed directly in front of the drums.” A pair of Neumann U87s, set high and about three metres back, were used to capture room ambience on the drums, and Le Guil also positioned a Shure SM58 as a “trash” mic, close to the kick-drum pedal, which was heavily processed using a Standard Audio Level-Or compressor. That’s his take on the unique distorted compression effect that can be achieved using an antique Shure M62 Level Loc, a very basic signal limiter designed for use in paging and podium microphone systems and discontinued prior to 1980, the unintended effects of which have become somewhat legendary. 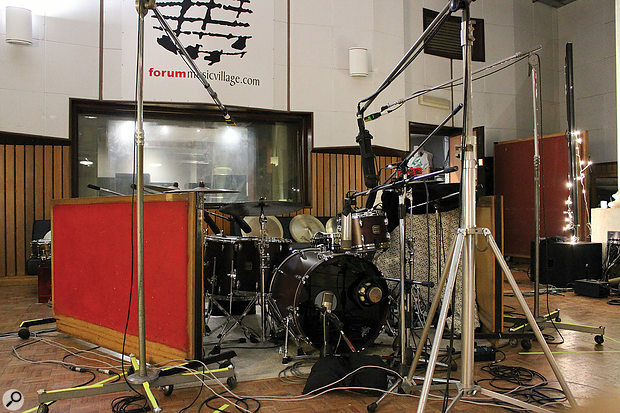 The drum kit set up at Forum Music Village, in the large live area described by Joe Chiccarelli as “big but dead”. The Forum was home for more than a month, but the production did branch out beyond its walls. Several tracks use string and horn parts, which Chiccarelli outsourced to Roger Manning in Los Angeles. Manning, who did similar arrangements for Morrissey’s Years Of Refusal tours and records as keyboardist with Beck, is a favourite of both the producer and the artist. 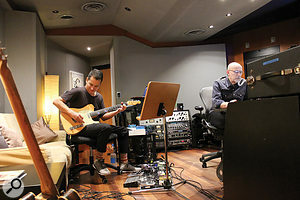 Chiccarelli and Le Guil would create rough mixes and send them as Pro Tools sessions via Dropbox to Manning, who would offer some keyboard-played ideas for Chiccarelli and Morrissey to consider. Once they decided on a direction, Manning went into Sunset Sound Studios to record using live musicians, sending those final stems back to Europe for the mix. Chiccarelli says this kind of long-distance, offline collaboration has become standard on virtually all of his projects. “Pretty much every project nowadays involves uploading and downloading files and shipping hard drives,” he says. For instance, he also sent rhythm tracks to a Pro Tools editor he often works with, Lars Fox, who lives in Portland, Oregon, almost 1000 miles north of LA and 9300 miles from Rome, for tweaks such as tightening the drums to other programmed elements in the track. Joe Chiccarelli and Maxime Le Guil made extensive use of the routing and automation capabilities on the Neve desks both at Forum and, here, at La Fabrique. The mix saw the production move to La Fabrique Studios, where time had finally become available. There, Chiccarelli and Le Guil worked on the Neve 88R console, which Chiccarelli prefers over the VR for its more “aggressive and open” sonic characteristics, and a slew of outboard and plug-in processors. 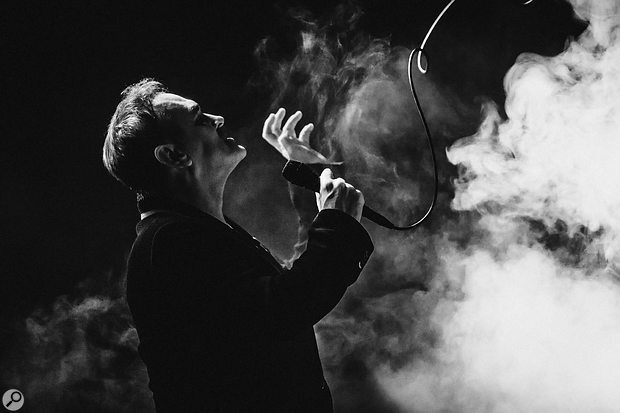 For instance, Morrissey’s vocals are cosseted by reverb from La Fabrique’s vintage EMT 240 ‘gold foil’ plate reverb, with some additional textures added using the UA RE-201 tape echo and Cooper Time Cube plug-in. The drums, which were already printed with a considerable amount of processing, were further pumped with effects like SoundToys’ Decapitator plug-in. “[Drummer] Matt Walker and I would discuss the vision for each song beforehand, in terms of approach and processing during the tracking phase, but with the understanding that there might be even more radical processing applied in the mix stage,” says Chiccarelli. The mix process had stopping points along the way as the artist came in to voice opinions and make changes, but a second process was also taking place simultaneously as Le Guil’s assistant, Sam Wahl, was taking the mixes and breaking them down into highly specific stems, as many as two dozen for a single song. Then, Le Guil would incorporate any mid-mix changes into the stems and fly them back into the main mix. “I love working with stems,” says Le Guil. 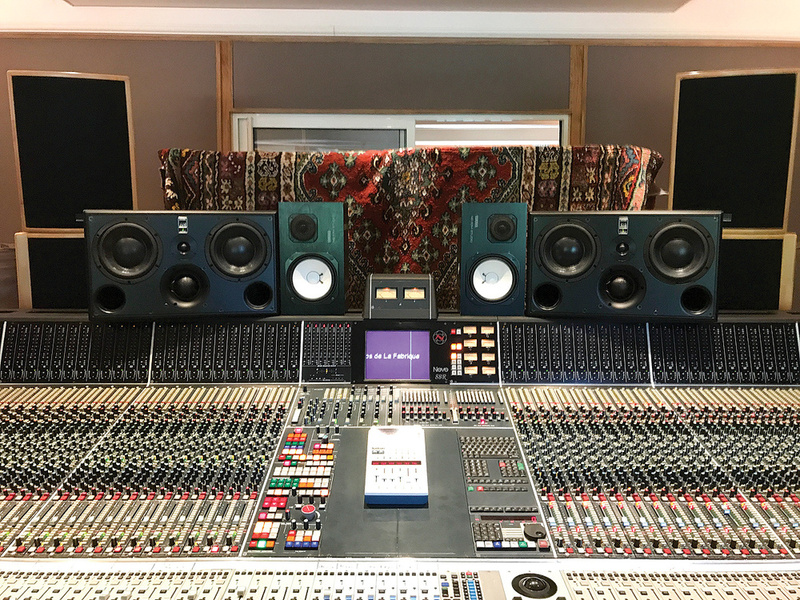 “They give you a chance to go deeper into the mix.” The stem mixing made it possible to move forward with the process while Morrissey continued to make changes along the way, and also made working on an analogue console easier, ensuring that the desk’s capabilities weren’t overloaded. 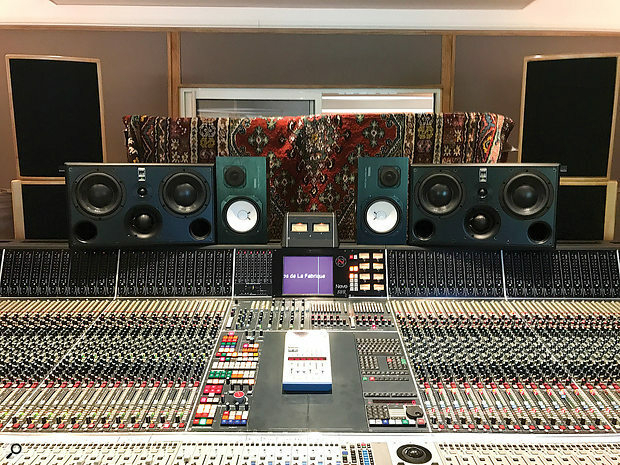 “There’s a limit to how far you can push an analogue console, especially when it comes to low-end instruments like the kick drum or bass,” Le Guil explains. “You take the stem and work on it in a digital environment and add a bit more to the low end, like you were doing post-production, then put it back into the final mix.” In fact, given that record labels now routinely ask for very specific stem mixes for television and other promotional uses, the heat of the actual mix process is arguably the best place to create them. 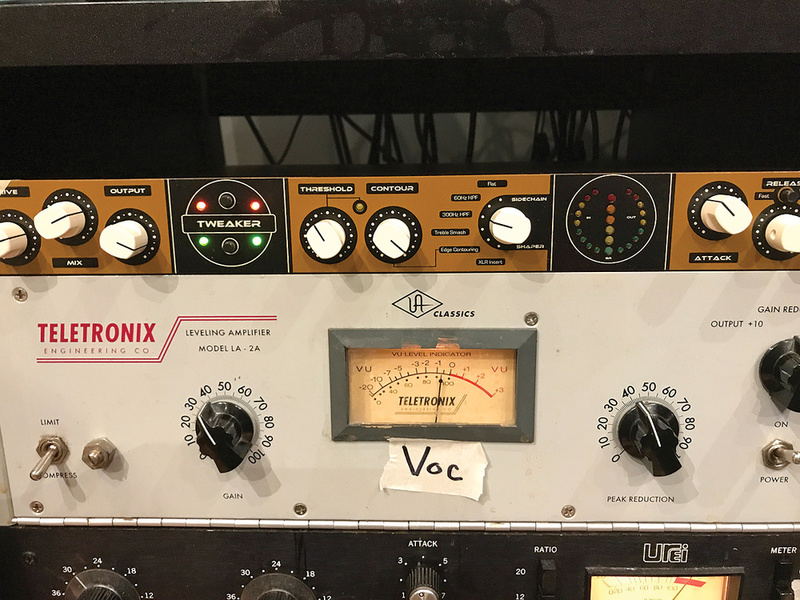 In this case, stems continued to criss-cross the Atlantic even at the end of the mixing stage, as mastering engineer Emily Lazar worked on the final tracks at the Lodge, her studio in New York City. In general terms, Joe Chiccarelli sees his role with Morrissey as that of a translator, moulding the artist’s lyrical screenplays into trackable propositions. The process is largely deductive, working from the original and usually very sparse demos that do not necessarily suggest even a genre to start with, and don’t even have vocals. Chiccarelli gets instrumental previews of the songs ahead of the sessions, but hears melodies and lyrics for the first time with the band in the studio, as they feel their way through tempo and structure. “That’s our pre-production,” he says. “Making a Morrissey record is like scoring a movie. He thinks very cinematically. If it starts going one way he may say, ‘This is too rock; this is not a rock song,’ or ‘It’s not scary enough.’ But he’s been living with some of these songs for three, four or five years. Now, it’s time to make them real.